Pregnancy Care Clinic carries a rich legacy of saving the lives of the preborn that began on January 28, 1994 and has carried on to the present day! Through the services offered by the clinic, over 75% of those who are at risk for choosing abortion have chosen life for their babies! The vision of a place where women facing an unplanned pregnancy could go to receive support and education in the east county area of San Diego came about during the summer of 1993. Six months later, the newly founded Pregnancy Care Center became a caring and accepting place for women in that situation. Through an educational focus, the center began helping these women make calm and informed decisions regarding their pregnancies. Just six months later, on June 29, 1994, the very first client gave birth to a precious baby girl! She was only 16-years old when she first came to the center. The client shared that she knew abortion was not an option for her but didn’t know how to make the decision to parent or place for adoption. Later, she thanked her counselor for remaining “level-headed” and for providing the resources which enabled her to make an informed decision that was right for her. By the beginning of 1995, the center had added numerous services including post-abortion groups, a moms support group, abstinence programs, and a six-week childbirth education class. Within only one year after opening, the center had truly become a safe haven for women and their unborn children. Women received information about life in the womb, pregnancy options, adoption information, and about the many resources available including maternity clothing and baby needs including baby layettes, diapers and wipes, baby clothes, and blankets. Resources also included referrals to appropriate facilities if a woman was struggling with homelessness, drug addiction, abuse, and/or in need of professional counseling. All of this was offered at no cost! A pivotal point occurred in 1998 when the center moved to its present location at the corner of Washington and Magnolia, a highly visible and busy intersection in El Cajon. The new location gave the center the ability to expand services. 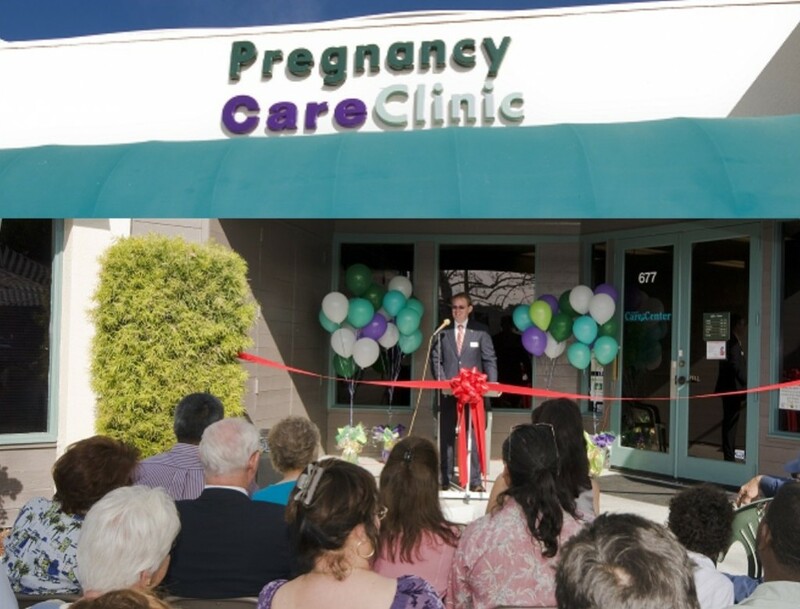 In 2005, after a lengthy legal battle, Pregnancy Care Center was granted a medical clinic license by the State of California and the name was changed to Pregnancy Care Clinic. The medical staff was expanded to include nurses, who were trained to perform limited obstetric ultrasounds, and a physician to oversee all medical care. The clinic has remained 100% donor funded through individuals, churches, and businesses, but also remains open to grant income. In 2008, because of the clinic’s valuable service to the community, First Five Commission of San Diego awarded a grant to the clinic for the purchase of updated and much needed office and medical equipment. After serving the east county area for more than thirteen years, the board of directors felt lead to expand the ministry to an under-served area of San Diego. Research revealed that in the demographics living in the area of San Diego bordered by Hwy 94, Hwy 54, Interstate 8 and Interstate 805 approximately 50% of pregnancies end in abortion. At least four abortion facilities operated in that area but there were no alternative clinics available. After a five year mission to build support, locate property, raise funds, secure equipment, and hire staff, the new clinic opened on January 22, 2017. Located near Northgate Market in the Southcrest area of San Diego, a new legacy of life is being established that will offer help and hope to a new generation of lives. If you would like more information about how you can be involved, contact Pregnancy Care Clinic at (619) 442-4357 or email ecpcc@supportpcc.com. If you think you are pregnant and are looking for more information on how PCC can help you, go to www.unplannedparenthood.org or call (619) 442-4357 to make an appointment.